HomeFront Page PostsThe Great Clean-up Giveaway! 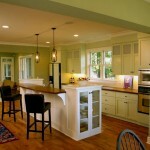 Win house and car cleaning from NWA companies! When we ask mamas what they’d love for Mother’s Day or a birthday — or just anytime, really — there’s always one wish that’s on their list: to have someone else do the cleaning. Keeping your house and car (or minivan!) scrupulously clean could be a full-time job by itself and ain’t nobody who’s a mama got time for that. That’s why we when we were brainstorming great giveaway ideas for the summer we thought of free cleaning services. 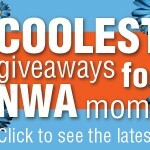 This week’s epic giveaway is house cleaning from Nook & Cranny Homekeeping NWA for one mama and 4 “Interior Super Clean” gift cards from the new Splash Car Wash for a second winner. You likey?! We thought so! Jessica O’Neill is a mama of 5 — her youngest is just 4 months old — so she KNOWS a little something about cleaning. And she knows how exhausting it can be to try and keep up with the kids and work AND the house. Jessica has a degree in elementary education, but when her family moved to Northwest Arkansas for her husband to take a new job as a teacher and football coach, she decided to stay home with the kids. That led to her dream of opening a cleaning business “with a personal touch” — with the mission of helping other moms. “Moms are our ministry,” she said. Jessica’s sister started the original Nook & Cranny in Tulsa. They are literally sister companies. 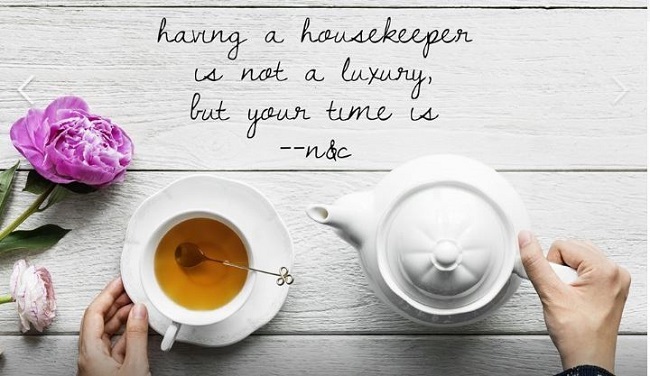 Jessica added, “If you spend your time cleaning, you’re not doing the things you love.” She said her goal is to help you do more of the things you enjoy. In addition to house cleaning, Nook & Cranny also offers business/office cleaning, childcare center cleaning, move-in/out cleans, new constructions cleans, realtor services and new baby cleaning prep (this is one of their most popular services — what a nice gift to give an expectant mama!). The winner will receive 12 hours of cleaning, total, woo-hoo! Jessica will coordinate a good time with the winner. Be sure to stay up to date on all the cleaning pics, SPECIALS (yes, please!) and other fun things they do over at Nook & Cranny by following them here on Facebook. 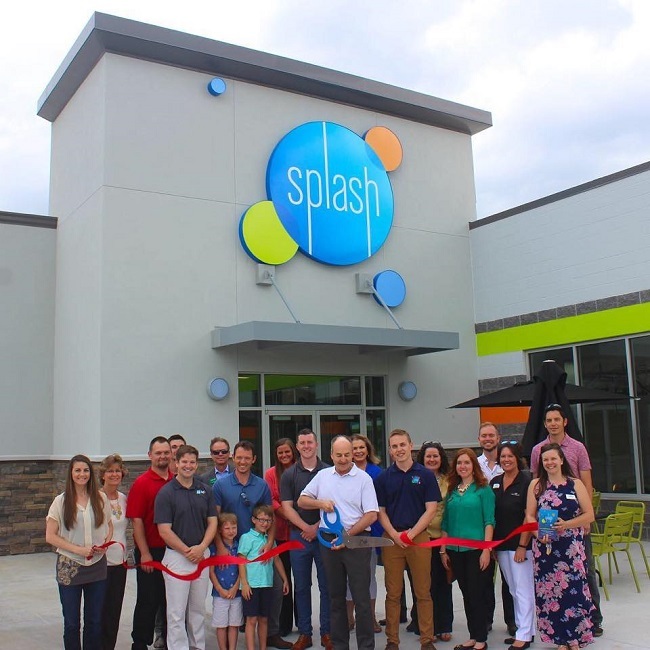 Splash is a brand new full-service car wash in Rogers near Pinnacle Hills Promenade. You can run your car through the normal exterior wash OR you can choose interior services on top. The winner of these 4 “Interior Super Clean” passes will be riding in clean comfort after Splash does their thing. We’ve tried the services and they are fast and awesome. With the “Interior Super Clean” you’ll get your exterior washed, the wheels cleaned and tired shined. Then, you’ll get the interior vacuumed, and the dash, doors and glass cleaned. And they do it FAST, as in about 20 minutes fast. Plus they have a little area for the kids to play while you wait for your clean car. Owner Paul Stagg has worked in the car wash industry for 20 years and is passionate about bringing this new brand to Arkansas in a pursuit of excellence. Additionally, he’s partnered with Northwest Arkansas Children’s shelter to help kids in tough situations. Splash is actively seeking opportunities to be great neighbors in the community of NWA. The General Manager at Splash Rogers, Ryan Barnes, said he’s happy to help with any further questions or services. Then write a quick comment telling us what you’d RATHER do than clean your house or car! Good luck, mamas! 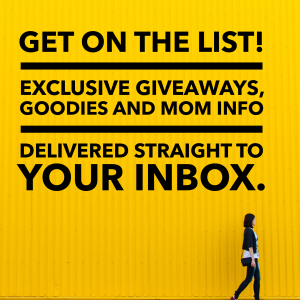 We’ll choose a winner on Friday afternoon, so watch your inbox! Giveaway: Maids in Red housecleaning gift card! 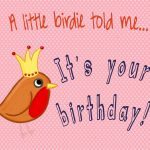 See who won the Birthday Girls List birthday box for April! Divine in ’09: Win a home “makeover”! Giveaway: A FREE Amazeum family membership! 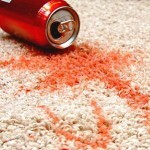 Giveaway: TWO free Heaven’s Best Carpet/Hardwood Floor Cleanings! I’d honestly rather be doing anything over cleaning! I feel like I’m cleaning non stop just to keep it at an “acceptable” level. With 3 kids, it never ends. Forget trying to do any deep cleaning. I will leave a comment on FB and I follow all the social media. I hate house work and would rather be with my dog on nature walks having fun. Anything but house cleaning! I’d rather get a root canal than clean my house. True story. I’d rather go swim with my 3 kids! I would rather write and snuggle with my kitties. I would rather take my kids out and do things to make sure they’re get the most out of their summer vacation before it’s time to go back! I would rather spend time with my son at the river fishing than clean the house and car! I would rather spend time hanging out with my family than cleaning! I would rather play with my kids than clean my house and car! I would rather go to the gym or take my kids to the pool! Following on FB and Pinterest. I’d rather spend the day with the kids! I would rather take my kids somewhere fun instead of spending our time cleaning the house. But, the house won’t clean itself. I would rather be spending my time with our little family out and about…than cleaning the house which seems to take up far too much of my weekend time! I would rather be shopping or in the pool with my family!! I’d rather do anything than clean the house. 🤣 I’d much better be hanging out with the kids, having some quiet time or traveling. I would rather spend time with my family than clean the house! Love this giveaway and hope I’m lucky enough to win because my house could use a good cleaning! Anything. Literally anything other than cleaning. I would rather do almost anything than clean. Right now, I am working on writing a book, and could use all the help I can get with keeping my house and car from falling apart! Someone save me! I would much rather take my kids somewhere fun than to spend time cleaning my house or my car! I would rather be spending time with family than clean. It would be a great blessing to win this giveaway. I’d rather take my kids and go to the buffalo river and swim! I’d rather be making memories with my family. Working and commuting takes up most of my waking hours. Then who likes to spend an entire Sat. cleaning house or a car when there is grocery shopping to do. I would much rather spend time with my daughter and grandsons. So many things I would rather do than cleaning. Spend time with family, take the kids on an outing, read a book, spend time with friends, put my pictures in a scrapbook, I could go on and on. i’d rather relax and read a good book! I would definitely rather be hanging out with my family at the pool than cleaning my house or car. We have a road trip coming up, and I hate driving a dirty car! I’d rather be spending time with my family than cleaning my house! I’d rather do laundry than clean my house! I’d rather clean my house than my car, but only a little bit at a time. It’s the best feeling when everything is clean at once! I would rather take my kids to the pool. I would rather spend my time with my family. With working full time, it seems I never have enough time to get everything at home done and spend the time I want with them!! Everyone’s comments are so nice. But I would rather go to the dentist than clean! Ha ha! Love the idea of having a break from cleaning. So many other things I could do with my time. I’d rather be spending time with family! I’d love help with cleaning, baseboards are the worst and I can never get all of the nooks and crannies in my car clean! I would rather do anything that clean! Ha! I’m really trying to soak up the remainder of summer doing fun stuff with my kiddos before school starts back. Thanks so much for the awesome giveaways! I would rather spend time with my family. I have some major health issues and cleaning the house completely exhaust me and takes me all day and by the time I am done all I can do is sit on the couch like a vegetable. I would rather do nearly anything else other than clean my house/car! I’d rather be swimming with my boys, planting flowers, sleeping, paying bills, working, you name it, I’d rather be doing that!! We are in the middle of self-building a house, and our current residence is a disaster. I don’t even know where to start at this point. My car is a mobile tool box, so it’s crazy too!! I’d rather be swimming with my kids than cleaning the house! I would rather be making a mess in the kitchen, baking with my daughters! I would rather spend time outside with my family than clean! I run a summer camp and daycare. When I get home, the last thing I want to do is be indoors! I’d rather go on a long walk! Following on all social too! I don’t mind cleaning but it feels like that’s all I do sometimes! Even with my kids trying to help, we are swamped and it never looks immaculate. I would love to have the car and house detailed! I would rather be at work! Cleaning is my least fav thing to tackle! I would so much rather be playing with my kids, going on play dates, or going to lunch with a friend! I would rather be spending time with my family or cooking. Oh my goodness! I’m expecting our second right now so I would rather be napping or spending time with our daughter playing and swimming than cleaning! Cleaning is my nemesis!! I would love to win this! I follow you on all social media and receive your emails!! I would rather be doing something fun with my kiddos outdoors than be cleaning!! I would love to win!!!! I’m not a big fan of cleaning, but who really is??! I’d rather be with family, swim, travel, rest, have a lake day or sleep than clean!! Get my homework done and go to the pool with my daughter ! I would rather be able to have time to walk the square of one of the towns here! I would love for my house to be cleaned!! Would be a great way to start out the school year!! I’d rather do absolutely anything than cleaning, but since the majority of cleaning usually happens on the weekends, I’d rather head to the lake or the Kings River and get some quality time with the family swimming! I’d rather take my kids to do something fun than clean my house. I feel like we’re stuck inside all the time because I’m trying to keep up with it, but I struggle to. I’m a Facebook and Twitter follower. I enjoy cleaning my house but just can’t keep up when working full time. This would be an awesome luxury! I would rather do something fun with my family! I’d rather spend time playing w/my kids in the house instead of cleaning it. I’d rather drive to fun and exciting places w/my kids instead of clean my car! I would rather be reading a great book!!! I would rather be playing with my daughter than cleaning. I would rather be reading with my littles! I would rather do just about anything than clean! Spend time with the kids, read, take a nap, or even binge netflix! I would rather be sewing than cleaning, but my 1 year old is a tornado of messes! Thanks for all the amazing articles and GIVEAWAYS! Y’all are fabulous and we’re so lucky to have you here in NWA!!! As a working mom who is also in school working toward an elementary education degree I need the quality time with my son! He is two and changing so fast and I want to soak in every minute I can! My house could use the TLC! I have four boys who are five and under including a three week old so I’d rather be taking a nap then cleaning! I cannot think of any nicer way to go on vacation and then to come home to a clean house. Life gets so busy it’s hard to get that deep cleaning in. I’d rather spend a day doing fun stuff with my sweet girl! I’d even rather spend all day doing yard work than housework! I would totally rather clean my car 🚗 but this prize would be amazing !!! I’d rather spend time with my baby girl! As a momma of 3 young kiddos and a foster baby cleaning is so necessary but so hard to squeeze the time in! I’d rather be at the pool with the munchkins instead of cleaning! Oh wow — I’d just rather be playing with my kiddos and not having to constantly be reminded of the dust and dirt while trying to do so!! Also, I commented on facebook and follow you on twitter and pinterest! I rather be doing anything then cleaning. Life has kept us so busy lately, that it would be nice to have some help to get caught up and then I could really enjoy spending time with my family. Is rather spend the day at our creek!! I’d rather wrestle a grizzly bear than clean. I would rather be playing with my grandkids. Following on FB. I’d rather do anything than clean. I tried vacuuming my car today and was a sweaty mess after five minutes. I didn’t even make it to the three car seats. I can only imagine the treasures hiding there. I follow on fb, twitter, and Pinterest. I would rather get away for the weekend!! I usually spend my weekends cleaning up and wishing I was on a road trip!! I’d rather be getting my baby ready for kindergarten than cleaning! I would rather be at the lake, soaking up some Vitamin D and floating my cares away on a raft. The list is too long of what I’d rather be doing! Reading. Cooking. Shopping… anything really! I’d rather be planning my 40th birthday party. I would rather play with my children or do crafts! What wouldn’t I rather do than clean? But seriously, I need this! I would rather be reading books to my kids!! I would rather be at the river enjoying a lazy day floating with my family. I’d rather go out to eat while everyone cleans for me! I would rather read a book. A wonderful idea for a mom giveaway! I have 3 teenage boys that I love dearly but I would love to have a little free time for me! I drive a suv with Black yes black interior. So if you can imagine it gets dirty looking fast. And with our new one due in less than a month I’d really like to have a sparkling clean car to bring him home in. I’ve been trying to stay up on it but the heat is killing me and causing me to keep brushing it off. Any of these would be so awesome to win! Thank you for doing this! This momma can use all the help she can get. I would rather be soaking up the sun with swimming with my three boys and hubby! I’d rather set my hair on fire and beat it out with a golf shoe than clean my house! Lol But seriously I work 40+ hrs a week a have a nine month old and husband that I would rather spend my time with! Thanks for this opportunity! I would spend some guilt free time with my kids! Spend Saturday morning enjoying each other and tackling fun projects instead of trying to catch up from the long week. I am also following on Pinterest now. I would rather be reading or working out! I would rather spend the day at the lake with my favorite kids than clean my house! I’d rather spend time with my 3 month old before school resumes. I’d rather be outdoors than clean, any day! Sadly, I decided not to plant a garden this summer because the inside of our house is in desperate need of a deep cleaning. Spending time outdoors, exploring new places! I would rather have a quiet day of no stress!! I’d much rather spend time with my family over cleaning any day of the week!! Oh, and I follow on Twitter and Pinterest. And, I commented on Facebook. I rather spend quality time with my family insteadof cleaning all the time. I’d rather have peace of mind while at work, then be able to come home and enjoy my family for once. I would be hiking outside with my hubby and kiddos!! I’d rather do anything else besides clean, especially take a nap! I’d rather take the kids to the park, play soccer, workout, cook an amazing meal and read a book!! Great giveaways!! I would rather go to dinner with kids and friends! I would rather spend time playing with my 5 kids or maybe even have a “me” day! I’d rather do anything than clean house or my car out LOL! Especially play with my kiddos or just relax on the couch. I’d rather hang out with my daughter before she starts kindergarten next month. She loves to read chapter books to me and take breaks to play with her Beanie Boos. I’d rather be on a road trip! I would rather spend time riding bikes with my family or make a nice dinner for them! Easy question. I’d rather do pretty much anything than clean my house or car. I’d probably choose reading a book pool or lakeside over most things. I would rather spend time with my 4 year old and hubby, than clean before I start back to teaching for the new year. Read a book, shop, sleep… ANYTHING but clean!! I’d rather float in the kiddie pool out back…no, seriously, that’s my mom-fun. I would go for a fun day trip with my family. I have never had my house or car cleaned by someone else. I would rather clean my car! Thanks for the chance to win this awesome prize! I’d rather be spending time with my husband and children. I follow on twitter and pinterest. Thank you! I would rather take my little guy to do something fun! Cleaning is a never ending task! If you get at all behind, it’s so overwhelming for one person! I would love to have a date with my grandchildren, ages 3 and 7. I would much rather get ready for a camping trip getaway with my family. I would rather do about anything! Spend time with kids & husband, shop, read, watch TV…. Spending time with my family is my all time favorite thing to do! I commented on your Facebook page. I am a SAHM and feel like I never stop cleaning! We have a daughter who plays travel soccer and the car is always running friends all over for practice. Never enough hours in the day! I’d rather be swimming in Beaver Lake!! I’d rather do most anything than clean!! I’d even rather work than clean! !